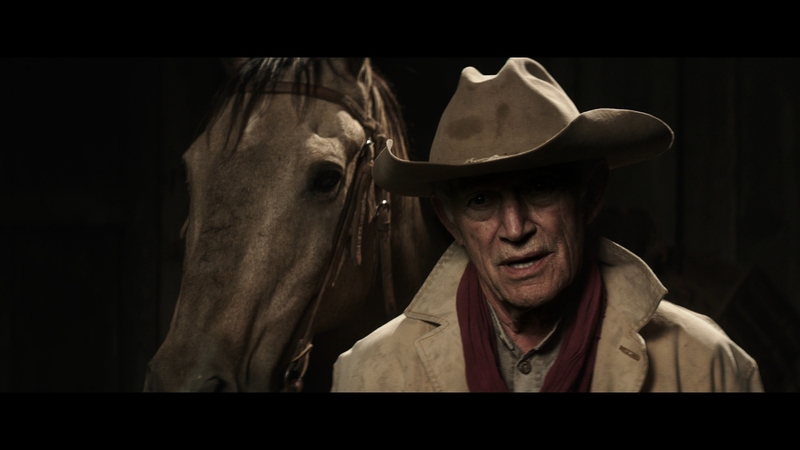 Lance Henriksen gives a commanding performance as a dying outlaw in this fantastic Western. Gone Are the Days reminds us the genre is still alive. The highly evocative and engaging drama tells the story of a man looking for a little redemption with his daughter before he passes away. Only a sheriff played by Tom Berenger can stop him from this personal mission. 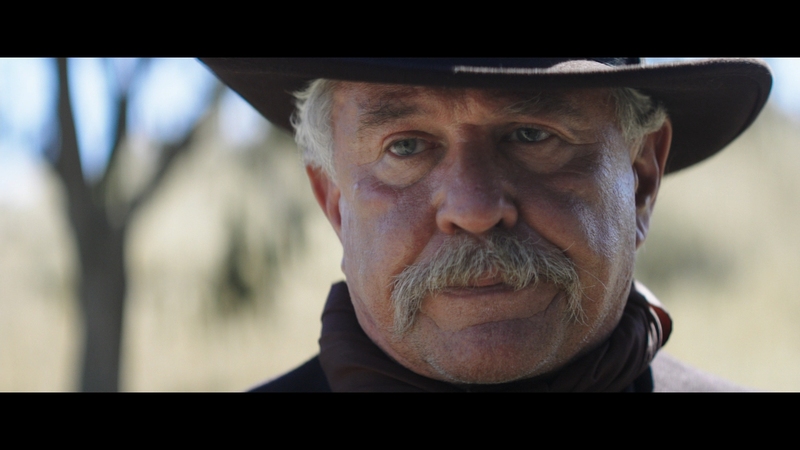 Director Mark Gould’s gritty Gone Are the Days succinctly captures everything in a Western that has made the genre popular with fans over the decades. The gripping storytelling resonates with its vividly etched characters performed by a strong cast. Thematically and emotionally rich, the movie has something more to offer than the usual shoot-outs and cliches. 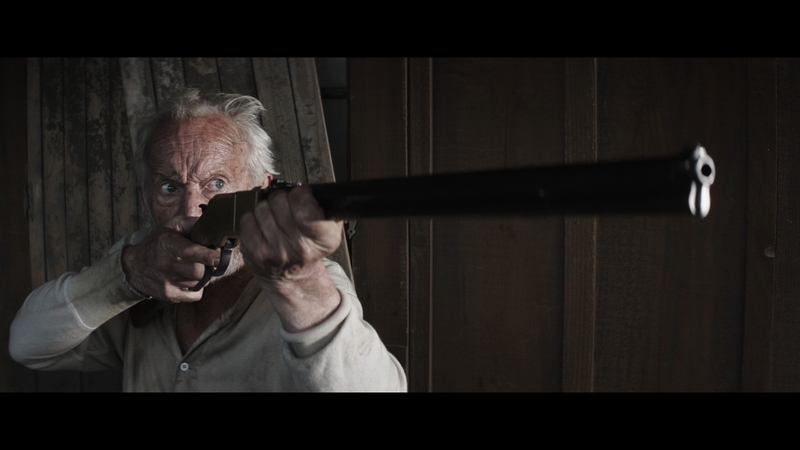 In the early 20th century, grizzled bank robber Taylon Flynn (Lance Henriksen) is among the last outlaws of the Wild West. Suffering from an illness that is clearly killing him, Taylon saddles up for one last ride at redemption when he travels to a nearby mining town. There he finds that the daughter he abandoned years ago has sadly become a whore in a seedy brothel. Distraught by the situation, Taylon knows his time is nearly up. Fueled by one last shot of liquid heroin, he has to remain one step ahead of the sheriff on his tail and the sleazy brothel owner. Taylon is dying from the opening moments of Gone Are the Days. Aided by a mysterious companion that jumps in and out of his life, Virgil (Billy Lush), Taylon comes across a man in the desert played by character actor Danny Trejo that may or may not be Death himself. Actress Meg Steedle acquits herself quite well as Taylon’s daughter Heidi, forced into prostitution by circumstances beyond her control. Everything happening has a mildly surreal flavor since Taylon suffers from fading memories that are possibly hallucinations caused by his heroin usage. The narrative starts out somewhat slowly but the slow burn is well worth it once we understand more about Taylon’s past. 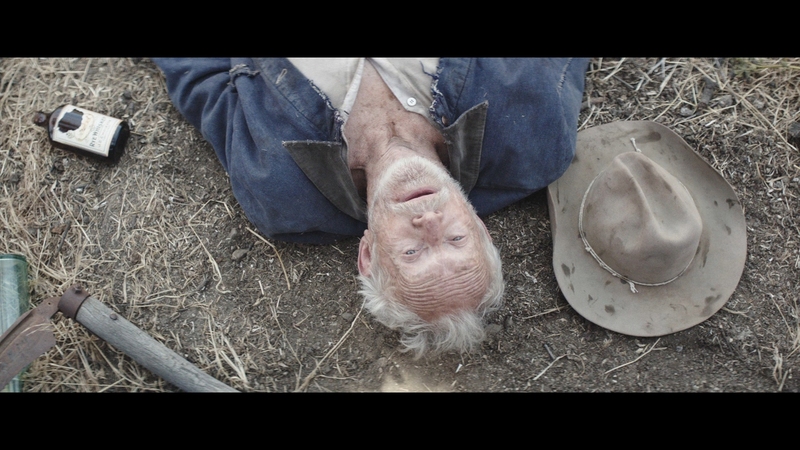 Nearing Eighty years-old in a couple of years, Lance Henriksen’s stellar performance is a wonderful book-end to an amazing career if he decides this is it. The veteran actor badly wanted to do this movie after reading the script and it’s clear from the opening moments that Henriksen is fully invested in the role. 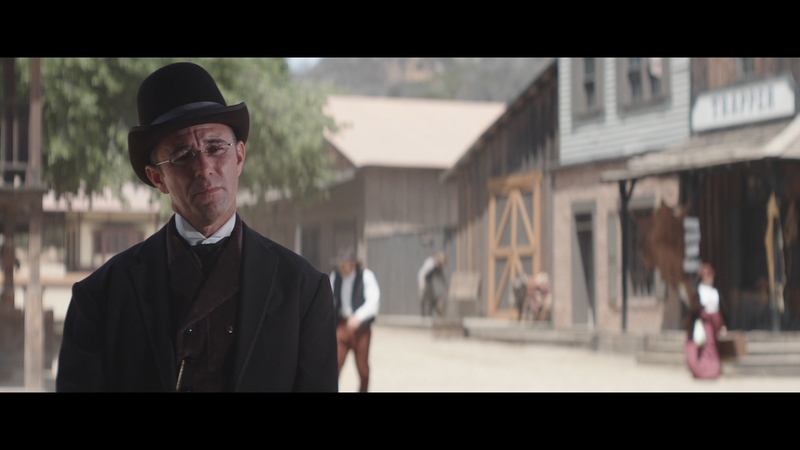 Having largely made a name for himself over the years in memorable supporting roles, Henriksen’s starring turn in Gone Are the Days makes this reviewer yearn he had done more Westerns. His stoic face and expressive demeanor are a perfect match for the genre. For an independent genre movie that likely won’t receive any award recognition, this is one performance every fan should closely watch. Crafted with a certain eye towards traditional Western storytelling but throwing in a few nods to modern filmmaking trends, this is a finely crafted movie for today’s more demanding and sophisticated audiences. Gone Are the Days looks mighty impressive on Blu-ray. The production was shot with Alexa cameras that bestow a stark, immaculate clarity to its fine picture quality. The 2.4:1 presentation has razor-sharp definition with fantastic depth and texture. Its realistic color palette has a slightly skewed push towards amber with a mildly elevated gamma. Really the only bugaboo in this outstanding 1080P video is its occasionally questionable contrast, which could have been made slightly richer and deeper. Brighter exterior shots have their white levels clipped at the margins, mildly washing out lighter tones in a few shots. The main feature runs nearly 100 minutes. Encoded in AVC on a BD-25 at adequate parameters, the clean video transparently replicates the film’s digital intermediate without visible flaws. A hint of chroma noise leaks into one darker scene but this largely pristine transfer is high-quality demo material. 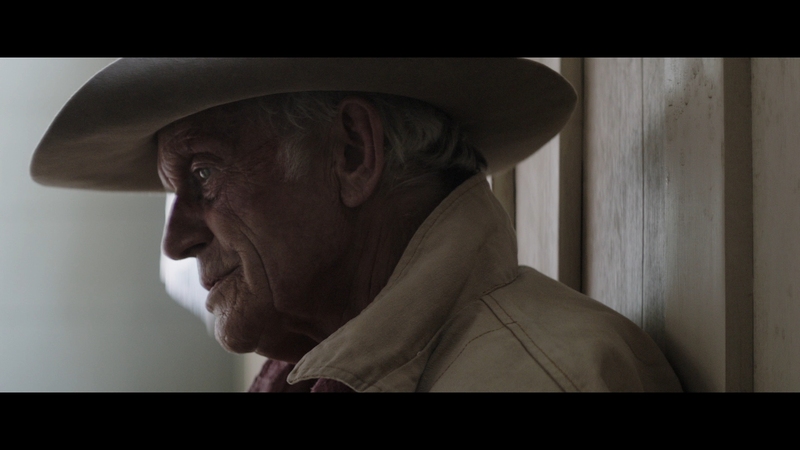 Shot by cinematographer Andrew Russo with a clear eye on panoramic landscapes, Gone Are the Days is a beautifully shot modern Western. Westerns usually make good fodder for an explosive, dynamic soundtrack loaded with subtle environmental noises and tight sound design. Gone Are the Days’ 5.1 DTS-HD MA offering has punchy audio with pinpoint imaging. Action is largely kept to the front soundstage. Gone Are the Days is more dialogue-driven than you would expect and that dialogue is heard in crystal-clear fidelity with plenty of dynamics. The traditional Western score from Kubilay Uner provides an excellent soundbed for the occasional action sequences and quieter dramatic moments. The smooth audio is perfect for the dusty Western. Some surround moments are clearly audible such as around the campfire and when Taylon sets his house on fire. This isn’t the most active surround mix, preferring subtle ambient noises most of the time over whiz-bang directional cues. There isn’t a huge amount of bass outside of a few loud gunfights. Optional English, English SDH and Spanish subtitles remain inside the 2.40:1 aspect ratio at all times. They play in a white font. The Western saga released by Lionsgate comes in a slipcover. The Blu-ray and DVD combo set includes an UltraViolet digital copy that redeems in HDX on VUDU. Lionsgate is one of the last Hollywood studios that hasn’t joined Movies Anywhere in the digital realm. The special features are nothing to write home about but provide a fairly raw glimpse behind the scenes of this production. Behind The Scenes of Gone Are The Days featurette (22:01 in HD) – A lengthy featurette constructed around on-set footage as the movie was being filmed. We see the director and cinematographer in action doing their thing on set, though little context is provided for much of the footage. We get brief asides where crew members are interviewed about their work, including a set designer. You definitely get a good sense of what being on this movie’s set was like for the cast and crew. 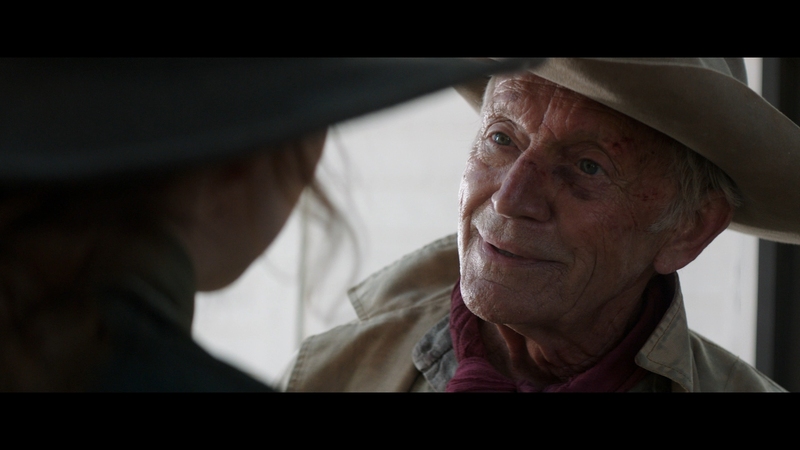 Cast and Crew Interviews (02:23 in HD) – Actor Lance Henriksen explains his reason for wanting to be in the movie but these brief interview clips barely add up to over two minutes in length. Several different people give short answers. Lionsgate Trailers (07:48 in HD) – Trailers for Rise of the Footsoldier 2, Jawbone, Cops and Robbers, Cartels, and One Last Heist all play before the main menu. They can also be played from the main menu. Lance Henriksen elevates this Western into must-see territory as a dying outlaw faces off with a sheriff one last time. The 15 unaltered images below are taken from the Blu-ray. For an additional 10 Gone Are The Days screenshots fully uncompressed, early access to all screens (plus the 12,000+ already in our library), exclusive UHD reviews and more, support us on Patreon.